Sleep is crucial to optimal health even if the majority of us seem to think otherwise especially when you are younger. Many young ones feel invincible as if no sickness or disease can even bring them down. They are not aware of their own mortality that they do really crazy things thinking nothing can get in their way of living life to the fullest. Unfortunately, the damage your body has endured adds up alongside the years in your life and you’ll feel its weight as you age. It’s common knowledge that the elderly belongs to the vulnerable group because of their bodies, which are past their prime, have a hard time in managing a lot of things and they are often riddled with a long list of maladies that do not always go away on its own or aren’t easily treatable. Medical experts recommend an average of eight hours of sleep each night, not just during the day. There are more curative and rehabilitative processes that take place inside your body when nighttime falls yet many of us consciously make the decision of endangering our own health as we push our bedtimes further into the night. Technology is a major culprit nowadays and this can spell bad news for all the youngsters today because their bodies will surely seek revenge when they grow older. Recent studies found connections between sleep and memory problems among the elderly. The finding appears to answer a long-standing question about how aging can affect memory even in people who do not have Alzheimer’s or some other brain disease. 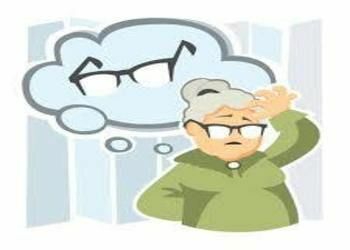 This study dug deeper as to why older people are prone to having memory issues and it shows sleep has a lot to do with it or better yet the lack of real deep sleep that the elderly have trouble achieving each night. Moreover, certain body changes have an impact to sleep and we know that the aging body underwent innumerable changes both visible to the naked eyes and not, so it no longer comes as a surprise if their memory falters along with many other things. Older adults who practice a simple meditation or listening a music programme may have significant improvement in memory function and objective cognitive performance – a risk factor for Alzheimer’s disease – in three months, a study has found. Knowing that there is a high possibility of you having memory issues in the twilight years of your life should be reason enough for you to better take care of your health and that begins with sleep. Both sleep quality and quantity matters. It’s hard dealing with sickness when it is already there. Your best recourse is to prevent it from happening. A person who is well-rested and enjoys a good night’s sleep every single time can take on whatever the world throws at him/her and it is not unlikely for them to age with grace and not appear like some crazy old lunatic because of conditions like dementia and Alzheimer’s that has gotten the better of them. Yet it is a different story if you are dealing with sleep disorders like sleep apnea. You can only manage it well through CPAP. 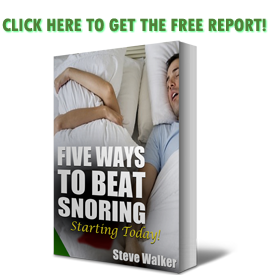 If you aren’t a big fan of it, use a handy solution like an anti-snoring mouthpiece such as https://snoringmouthpiecereview.org/good-morning-snore-solution or https://snoringmouthpiecereview.org/snorerx so you can still sleep comfortable yet safely minus the scary breathing pauses that characterizes sleep apnea. Get yourself checked by a doctor if you suffer from this condition because it does not resolve on its own and it can have a negative impact to your overall health and seriously make aging such a bad thing for you.